It is theoretically possible,the exact answer nobody will say,just to try. Fasten buttons,to turn inside out,use a washing machine,with a maximum temperature,spin cycle and hot drying.I said nothing new. 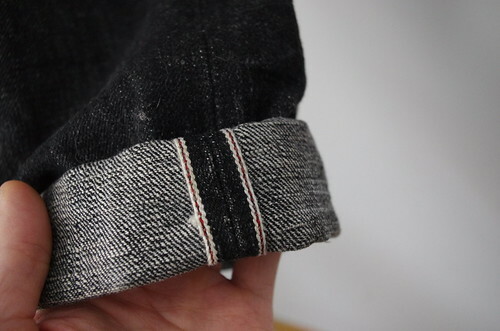 You can omit the belt in boiling water,hold it some time to dry near the heat source.However, it is unknown what will happen with the patch,probably it breaks down (sometimes unpick if there are doubts, and then sew in place). If the only problem is the waist,use a belt.After the first wash it is possible to reduce the waist and not continue to use a belt. general rule for 0500 is to size down one because of the eventual stretching. 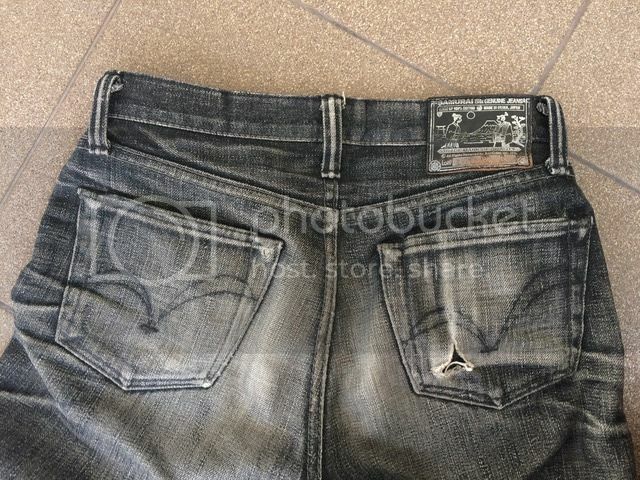 if youre going to buy them a little lose they will probably stretch out more as they soften up. the other option is to just deal with them being uncomfortable for a while if you went with the smaller size. personally i would go with the bigger size and just deal with them being a little loose and hope they dont get too loose as they soften up. its not worth being uncomfortable. Measurement for one wash samurai big is accurate? Nothing like ordering up some WW2 repros on Pearl Harbor Day. Just hope they fit! Here you go, dude. S2000-RR tagged Size 35. Flat measurements. I was worried these would shrink too much, as the waist was a bit snugger than I'd hoped for a size 35. Samurai sizing has been all over the place the last couple of years, especially with their limited and special releases. 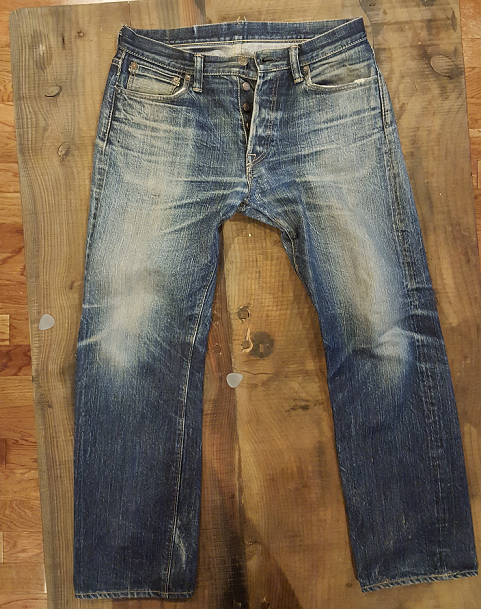 Gave them a cold wash in my crappy top loader washing machine, and took them out before the final spin cycle to let them air dry. 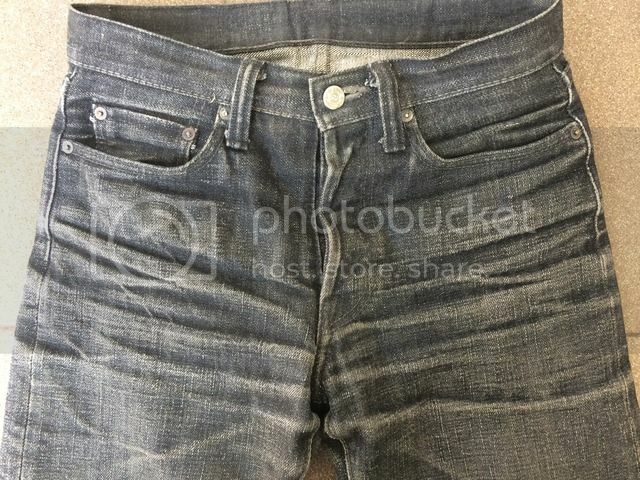 The waist was definitely a bit smaller right after the wash, but stretched back to pre-wash measurements pretty quickly. 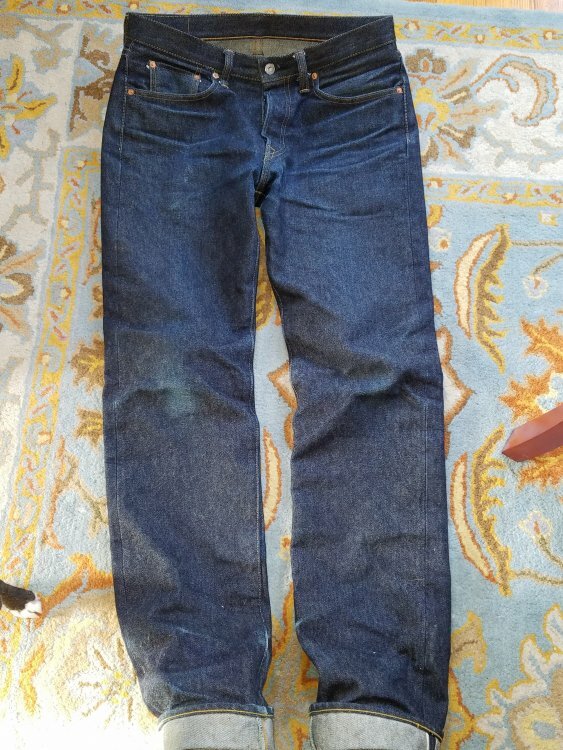 Not sure if this is typical for Samurai 15oz denim, as this is my first experience with their denim in this weight. They will never see hot water, ever, so hopefully they don't shrink any further in the waist. Maybe one day I'll post fit pics. Wouldn't hold my breath though. Washes: 6-7, screwed up a bit at beginning with 1 soak + 1 wash and dryer which made unwanted creases leading to another wash. This may explain the rather slow fading (compared to what I can read on other models). 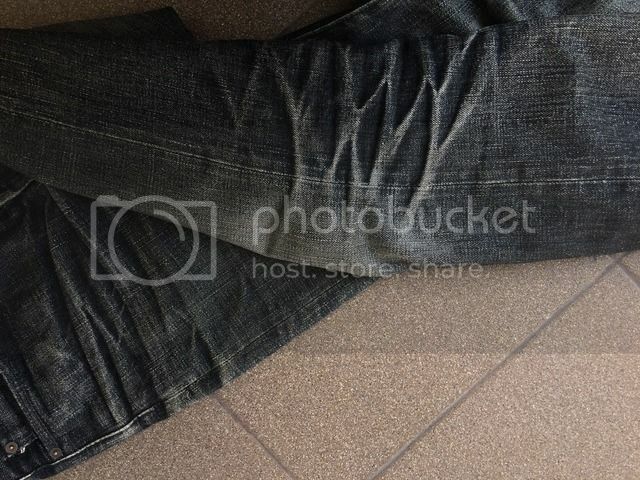 These are my most resilient jeans. No repairs to perform so far! 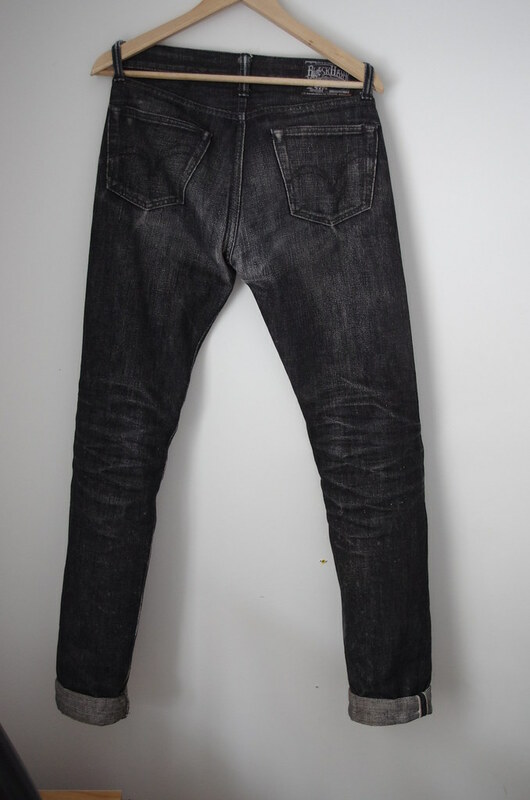 It may be a mix of the 'loose' cut, the several initial washes that may have got rid of most starch, better construction for BiG? Whatever it is, they're rock solid. 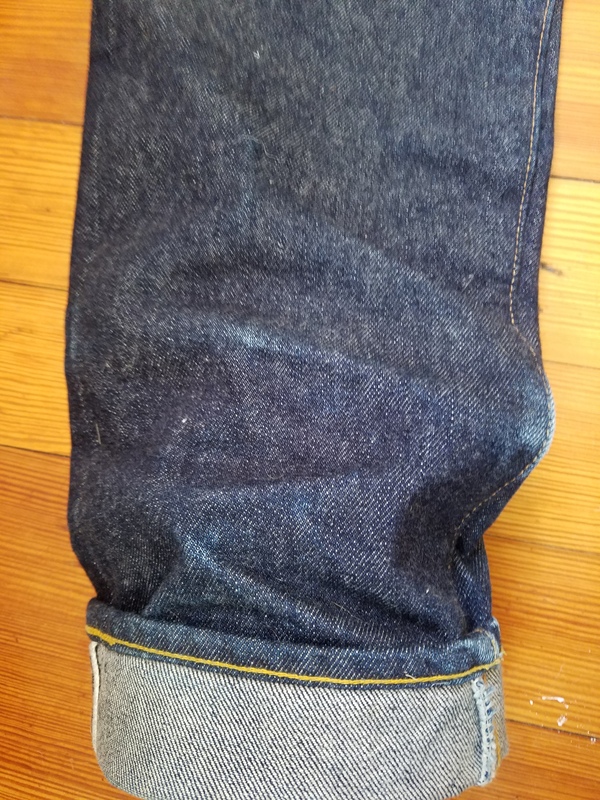 I love my 710s (top block nigh on perfect...could lose a little in the thigh but not much) but would like my new denim to have a bit more taper from the knee down. 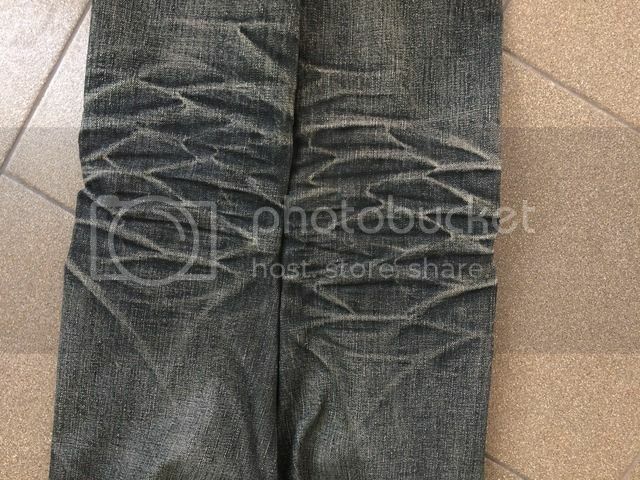 Do Samurai make a jean like that yet or not? If not, anything else I should be looking at? The new S0511XX might fit that bill. But I think the rise is a tad lower on them than on the 710. Thanks for the input BF. I was thinking about contacting you I saw one fit pic over on the IH forum (JCM I think) and they look great but I can't find many others. The ones on the Heddel site are atrocious lol. Samurai collab 310xx with del bomers is this a reject? Been wearing my 710xx since this past June, albeit mostly during weekends and other off-time (no jeans at work). I've never loved a pair quite so much. They've traveled with me to Italy, Paris and most recently Mexico, and will join me on a weekend trip to Montreal in a couple days. 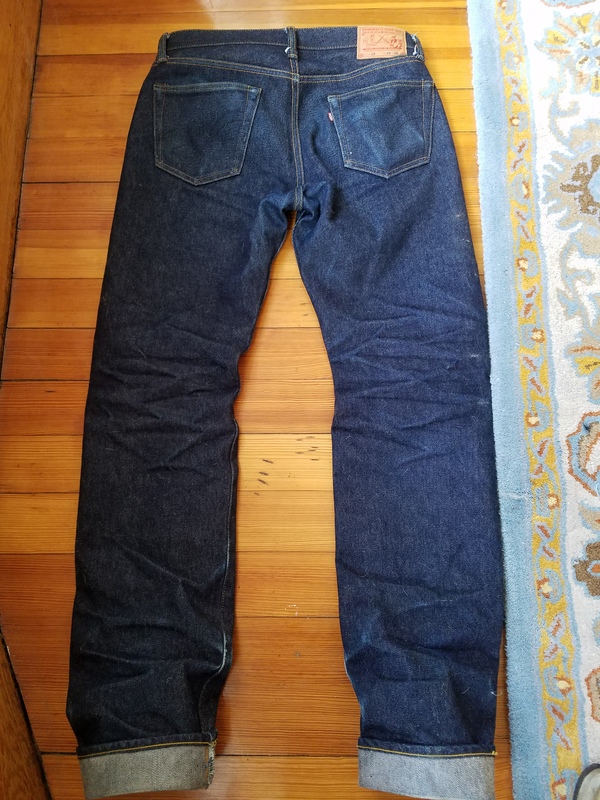 They've gotten to the point where they've started to look different with each passing day -- there is a lot of color variety going on all over the denim right now. They are in the wash right now but I took a couple pics yesterday. Not the best photographer but maybe this will give an idea. Color is pretty accurate especially in the last pic. 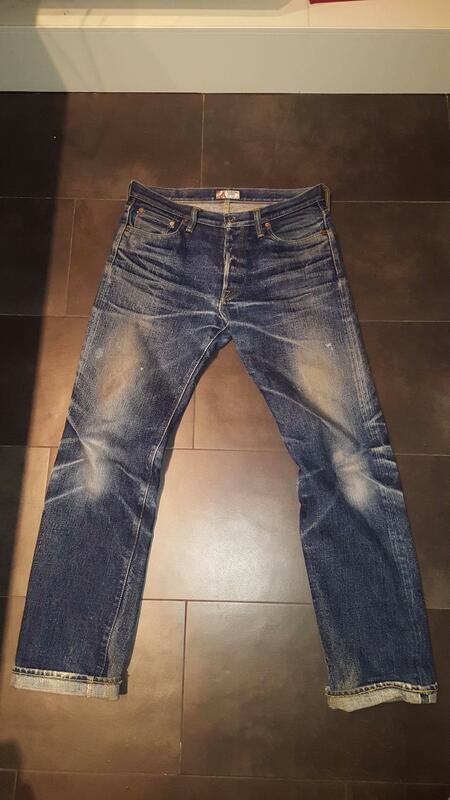 This last pic really shows the character of the 19oz denim...so many shades of blue happening. I really wish it was cool enough to put my 710s back on. Does anyone know the measurement for the Samurai S310SP16 shorts? Can't seem to find it anywhere. Thanks in advance. 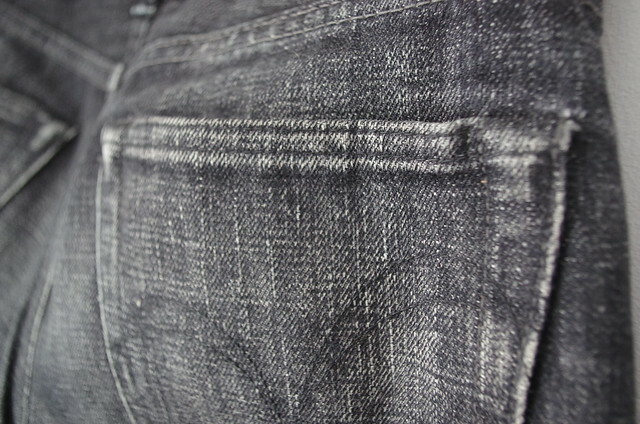 Samurai black denim is amazing and I hope mine get to that level. 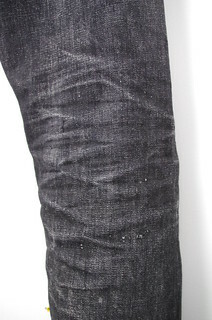 I'd say a very well worn black denim is on par or maybe even better than well worn indigo denim. question - is BiG discontinuing Samurai? In the couple months they went from a very extensive inventory, to currently almost nothing. No jeans or shirts. When I was there in July. They had a ton of samurai on sale. I imagine its a bit of a hard sell during the summer months in NYC. 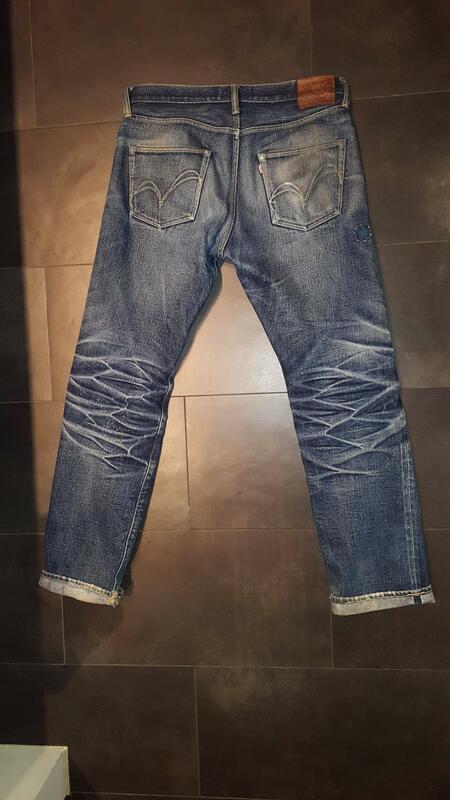 Samurai 500XX Naniwa Special from 2013, 19 oz denim.